Loki the trickster god is free from his chains. 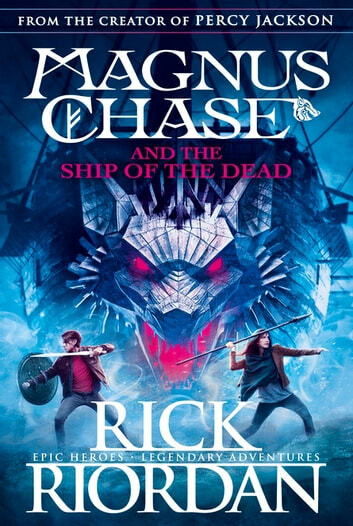 Now he's readying Naglfar, the Ship of the Dead, armed with a host of giants and zombies, to sail against the Norse gods and begin the final battle of Ragnarok. 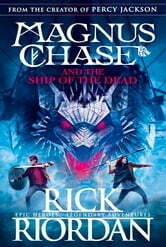 It's up to Magnus Chase and his friends to stop Loki's plans, but to do so they will have to sail across the oceans of Midgard, Jotunheim and Niflheim in a desperate race to reach Naglfar before it's ready to sail on Midsummer's Day. This book was really good i had to go outside and scream because i was fangirling way to much. people who ship Alex and Magnus will be happy with the outcome. So BeAuTiFuL. wipes tear away.